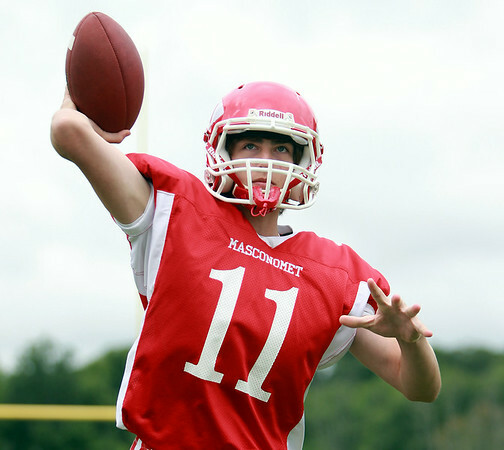 Masco sophomore Declan Judge will be battling with senior Roby Deschenes for the starting quarterback job for the Chieftans in 2014. DAVID LE/Staff photo. 8/22/14.